The VM-4HD 1x4 SDI & HD-SDI (HDTV) Video Distribution Amplifier from Comprehensive/Kramer is a high-performance distribution amplifier that features (1) input that is distributed to (4) identical outputs. It supports SDI (SMPTE 259M and SMPTE 344M) and HD-SDI (SMPTE 292M) signals. This unit also supports 8- and 10-bit resolution, as well as automatic reclocking and equalisation. It belongs to the DigiTOOLS family of products and its small footprint makes it well suited for use on a desktop or in a rack. The VS-81HD 8x1:2 HD-SDI Switcher from Kramer is designed to manage SDI (SMPTE 259M and SMPTE 344M) and HD-SDI (SMPTE 292M) video signals. It can switch any one of (8) inputs to (2) identical outputs. The Kramer VS-88HDXL 8 x 8 3G HD-SDI Matrix Switcher is a high performance matrix switcher for 3G HD-SDI and HD-SDI dual link video signals. The unit can switch any or all inputs to any or all outputs. Switching is implemented during the vertical interval period according to the SMPTE RP-168 standard, when using synchronized digital video sources. 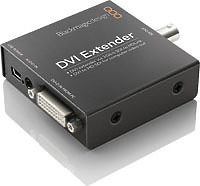 Route your computer monitor using DVI Extender. Includes USB power, 3.5 mm audio jack input for computer audio, and software control panel for selecting between video and monitor modes. Requires a HDLink Pro or HDLink Optical Fibre for monitor mode, however when in video mode, SDI output is compatible with all SDI video equipment. The HD10DA is a miniature, low-cost 1x6 SD/HD (dual-rate) re-clocking distribution amplifier. Featuring six separately buffered HD-SDI outputs, the HD10DA provides automatic input cable re-clocking and equalisation to 125 meters. 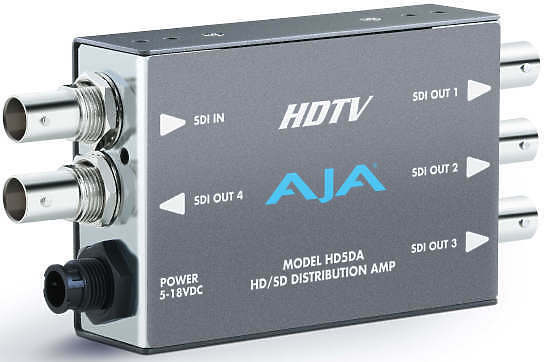 The HD5DA is a miniature, low cost, 1x4 HD-SDI/SDI distribution amplifier/repeater. 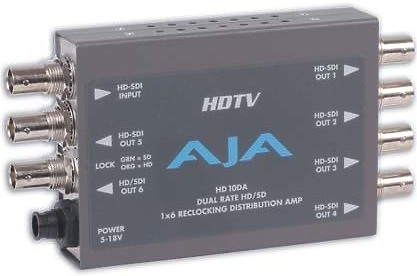 Featuring four separately buffered HD-SDI/SDI outputs, the HD5DA provides automatic input cable equalisation to 100 meters and automatically adapts to 143, 177, 270, 360 Mb, and 1.5 Gb.